What I've always loved about Aram Shelton is his investigative ethos. He continually challenges himself and his fellow band mates within each composition. This is ever-present on his newest quartet release, Everything For Somebody. With his quartet, Shelton stays focused on a more traditional sound - a mixture of hard bop and avant garde that works perfectly. The ideas created by Ornette Coleman are here in Shelton's playing but as you move further into the record you fly deeper into the band's vortex. "Anticipation" opens with beautiful exchanges by Jackson and Shelton. Their performance is really on fire and the addition of the always electrifying Daisy makes the piece a firecracker of an opener. It's fun, challenging and very versatile. "Everything To Somebody" begins with a slow melodic approach before the group spins into a nice boppish groove carried through by Hatwich and Daisy. Hatwich provides a nice bridge in the middle of the piece for Jackson and Shelton to gather new concepts and rejoin with vibrancy, carrying the tune back to a somber but celebratory conclusion. I love the freedom Shelton gives the group on "Barely Talking." The main melody and theme are established in the opening lines but from that point on, each musician crafts his own vision. Tim Daisy displays an improvising spirit that for me resembles Andrew Cyrille. Jackson and Shelton apply complimentary notes that flow with aggression and beauty. And there's a great passage in the middle of the piece between Daisy and Hatwich that is simply exquisite...and could have gone on much longer. While Aram Shelton is pretty much based out of San Francisco now, the distance does not stop this Chicago quartet from sounding as fresh and vibrant as ever. 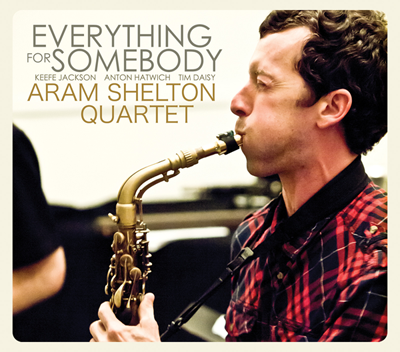 If you were to start your journey into Aram Shelton's material Everything To Somebody is wonderful place to start. 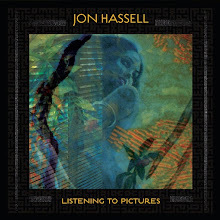 Another superb addition to my albums of the year. Highly Recommended.